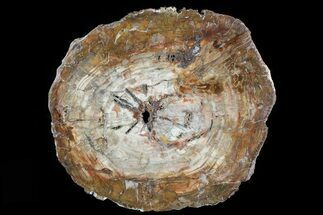 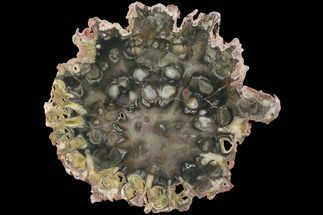 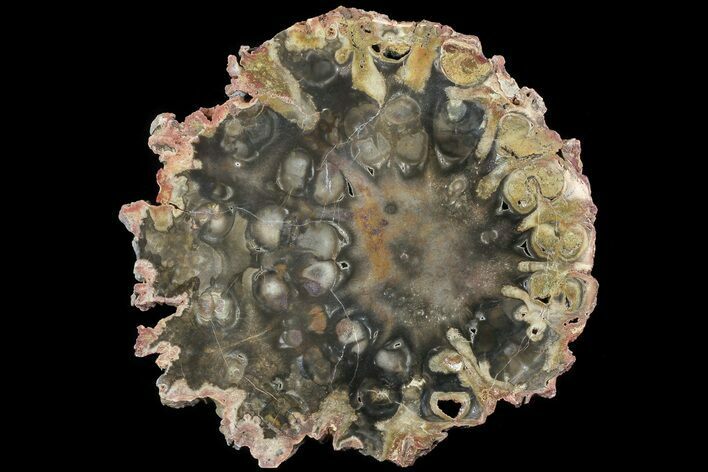 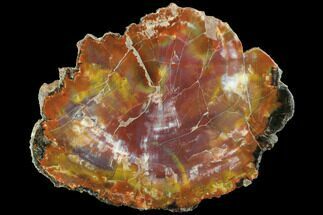 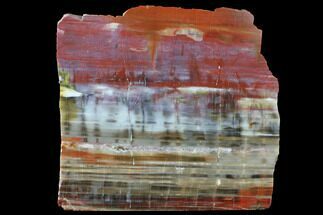 This is a slab of rare Rhexoxylon (a seed fern) petrified wood from near Gokwe, Zimbabwe. 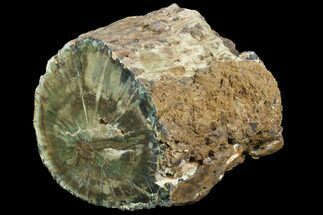 The petrified wood from this area is Upper Triassic or approximately 250 million years old. 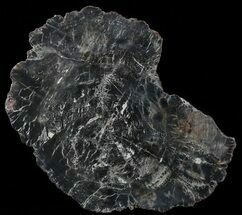 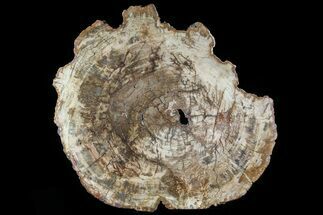 One side has been polished to a mirror finish allowing the unique interior of this fossilized "wood" be visible. 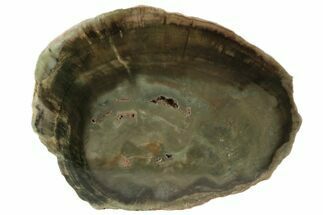 It comes with an acrylic display stand. 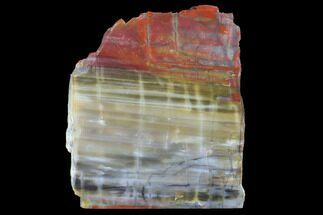 This piece is particularly interesting because of how you are able to see through some portions.